To mark our 10th year birthday, MMCC is planning its largest exhibit ever at Star Wars Celebration. 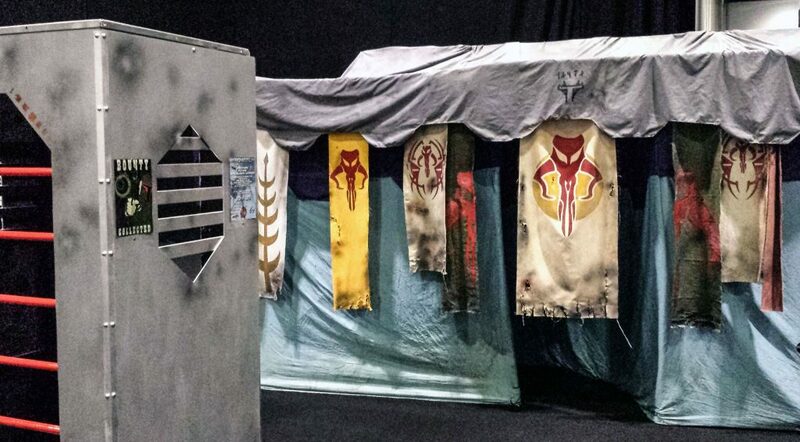 Come test your mettle at the “Mandalorian Proving Grounds” where you can try on some Mandalorian armor and test your aim at the practice range. Photo ops will be available throughout the exhibit, with various props and interactive areas for fans to enjoy. Don’t forget to join us for the official Mandalorian Mercs photo-op on Saturday, April 15 at 4pm on the convention center’s main stair case. MMCC’s largest vehicle prop, the Mandalorian Transport Skiff will be available for photo ops along with the Mandalorian Landspeeder and Mandalorian Swoop in the hanger bay. The Mandalorian Bounty Hunt will be in full-swing each day, allowing you to arrest your friends and family to help raise money for charity. For those little Mandalorian fans, MMCC will be holding two different events in the Celebration Family Room (W311). o BYO: Mandalorian Armor, (Thur 4-5pm, Sat 3-4pm) where your child can create their own set of Mandalorian armor to wear around the convention. o Fang Fighter Battles (Fri 3-4pm, Sun 2-3pm) allows your child to create a Mandalorian Fang Fighter they can launch into orbit with a straw. Come learn all about MMCC, our mission, and how we make the awesome sets of Mandalorian armor we wear. 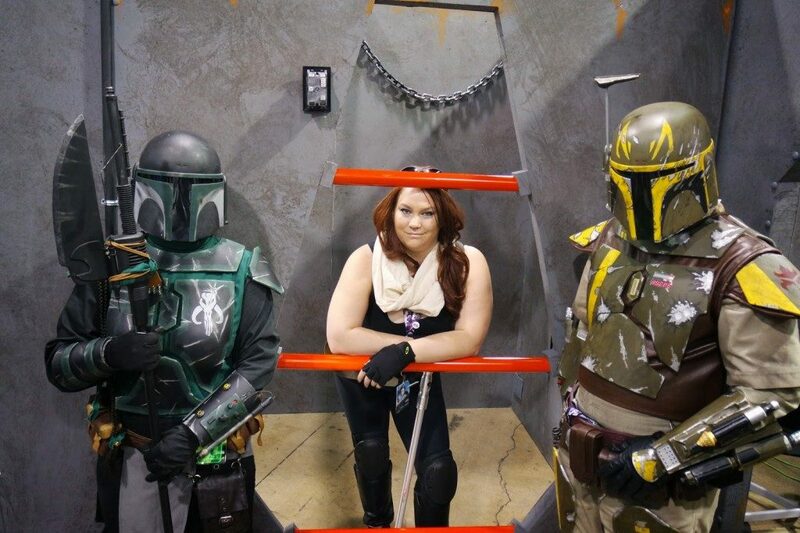 o Meet the Mandalorian Mercs: April 13, 5-6pm. For ten years, the Mandalorian Mercs Costume Club has represented the elite warriors from a galaxy far, far away. Learn what it takes to become a member, and express your own creativity while celebrating STAR WARS™ and helping those in need through charity. o Down and Dirty Mandalorian Armor: April 15, 10:30-11:30am Join members of the Mandalorian Mercs Costume Club as they teach the common techniques and skills of building Mandalorian armor costumes by creating sets of armor for two lucky members of the audience. More information about the MMCC exhibit area, panels, and Family room activities can be found on the Star Wars Celebration on-site/on-line guides, and mobile app. MMCC will be celebrating its 10th birthday by hosting MMCC’s Celebration Bash on Friday, April 14th at the Hyatt across the road from the convention center. Come out and celebration not only our birthday, but also share in the love of Star Wars. Tickets are on sale.